VASTIQ SOLUTIONS Enterprise is a company that was established in the year 2002 by a team of Professional Security Systems Experts from the Security Industry with many years of experience as a security solution provider, to focus on creating relationships with clients through an in-depth understanding of their needs and customizing solutions that achieve their goals. It is the aim of VASTIQ SOLUTIONS Enterprise, to provide the highest standard in Security Systems. With this in mind the Company became a Sendirian Berhad on 2011. 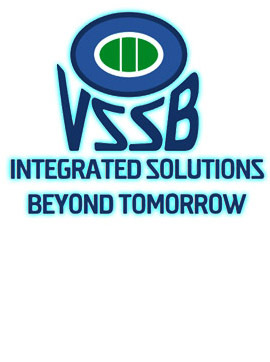 Today the company is known as Vastiq Solutions SDN. BHD. Our strong technology focus and solutions centric philosophy has held us in good stead in ensuring that we overcome the unique set of challenges that each project implementation presents. Most of these challenges require critical decisions that far outlive the length of the project. To ensure total customer satisfaction, we have integrated Total Quality Management in our engagement with customers during the life cycle of a project. We have a solid history of delivery and customer satisfaction by consistently demonstrating our ability to implement effective solutions which have also helped us maintain long standing customer relationships. Our Professional Services Division comprises of engineers who are trained and certified in all the technologies that we provide and support. Strict adherence to industry best practices and our SLA policies guarantee successful project implementation and excellent post-sales support to our customers. To become the leading Integration Solution Provider that works towards the preservation of assets and property. To provide the most effective security systems with the best balance between price, reliability and convenience with strong commitment to our core values of honesty, integrity and efficiency. To provide total Integration Solutions to the customers’ highest satisfaction. From system design and engineering to product specification and installation, and through testing and training of client’s personnel, we oversee all stages of the commercial security system development that will enhance the safety and security of the environment while being cost effective.